It’s January and we all know what that means…trying to recover from cookies, decadent meals and cocktails. If you’re already tired of a blasé salad for lunch, you’re not alone. Most people only dedicate 10 days to their “Shape up in the New Year Resolution.” Don’t despair! There is hope for your salads and meals. At only 20 calories each, you can add these to any meal and not break your diet. 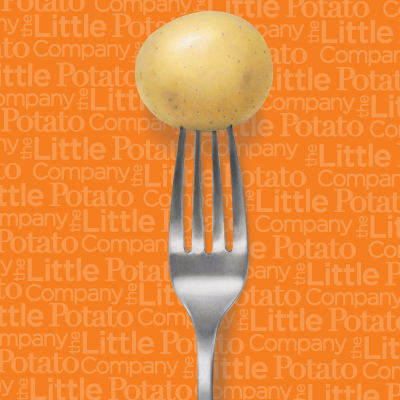 Plus, potatoes fill you up, staving off cravings for naughty treats. No-sodium, gluten- and fat-free Creamers have essential vitamins and minerals, including iron, antioxidants, potassium and fiber that give you healthy energy. Research shows that a well-balanced diet including foods high in potassium and low in sodium may reduce the risk of high blood pressure, a factor in both stroke and heart disease. And, potatoes are a tasty way to eat your veggies, counting towards the daily recommended five (U.S.) to 10 (Canada) servings of fruit and vegetables. 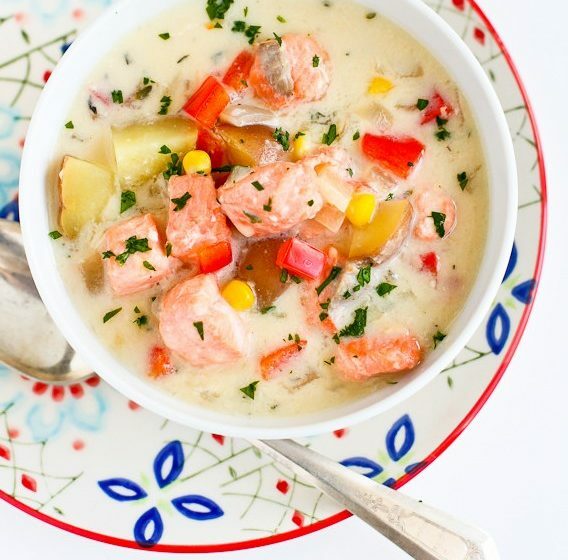 “Luscious, without the guilt of regular creamy soups.” Spiked with red pepper flakes, thyme, garlic and red peppers, this colorful chowder from Cookin’ Canuck mixes rich salmon chunks with corn and Blushing Belles (calories: 323). “A lunch that will re-energize you” from Cocoa Bean, The Vegetable reinvents the salad genre with crunch—carrot ribbons, crisp-edged Creamer “croutons,” green lentils and whole red endive. With this one, in 30 minutes you have a healthy and flavorful meal in one dish with easy clean-up! Oh, and did we mentioned it has only 233 calories per serving! Fully loaded Fingerlings with smooth, moist centers from I Love Vegan (there’s a Tex-Mex version, too).